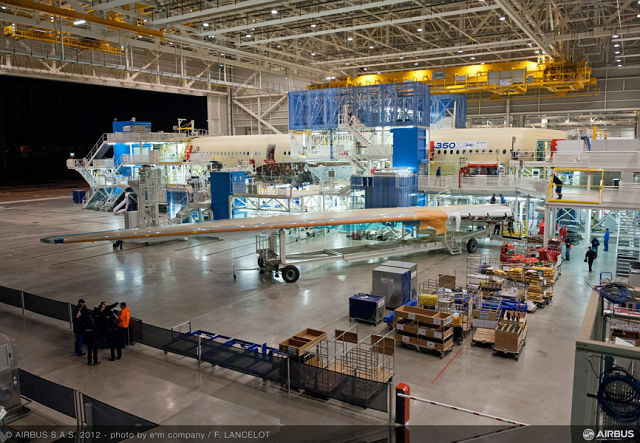 Airbus has planned the first flight of the A350 on the 14th of June, 2013: 2 days from now. 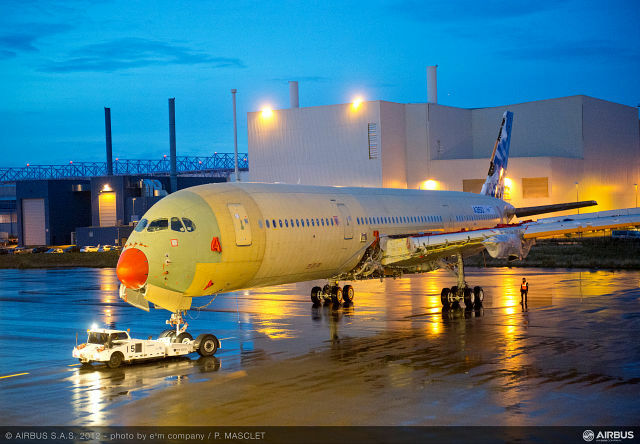 The scheduled time of A350 MSN001’s first flight is 0800hrs UTC (1000hrs Toulouse 1330hrs IST). 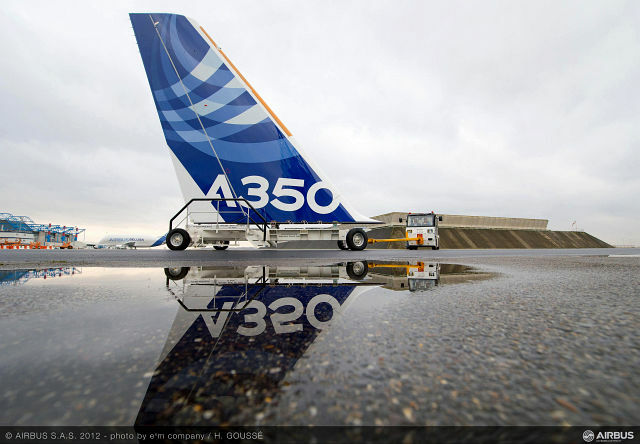 Airbus claims, with this announcement, that the A350 program is on schedule, with entry-into-service expected in the second half of 2014. This is an interesting statement, considering that in the September of 2010, Airbus had expected the delivery of the first A350 in 2013. The Airbus A350 is a result of the pressure exerted by airlines on Airbus, in the face of the Boeing 787’s “threat” to the Airbus A330. The A350 program was formally announced towards the end of the end of 2004, but it was only in mid 2006 that Airbus, after facing criticism for a derivative of the A330 rather than a whole new clean sheet design, announced the A350XWB: an all new airplane. 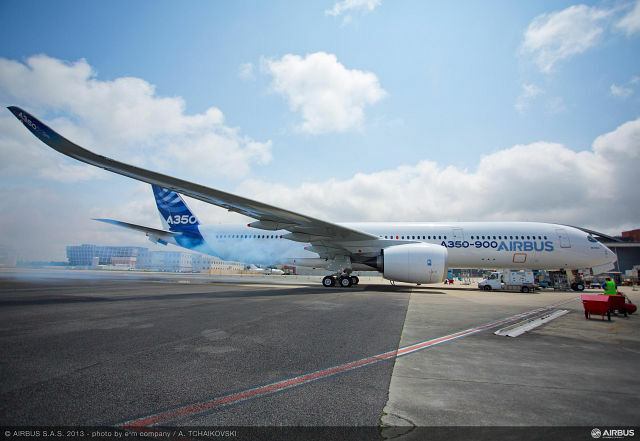 In essence, the A350XWB project is a forced response from Airbus to Boeing’s 787 program. MSN001 is an A350-941, bearing registration F-WXWB. The A350-900’s Rolls Royce Trent XWB Engines are the largest that will be fitted on an Airbus airliner, producing 374kN (almost 37,500kg force) of thrust, each. The A350-900 has the typical seating capacity of the Boeing 777-200 (314 pax in a 3 class layout), and the range of the 787-9 (~8100NM), serving as, what seems now to be the plug between the two. Observed Lufthansa’s CEO Christoph Franz, “Because of pressure mainly by the fast growing Gulf carriers, both Airbus and Boeing are being pushed to design aircraft with more range capabilities and engine power than needed by most other operators. European airlines therefore have to deal with over designed aircraft that carry additional unneeded weight”. 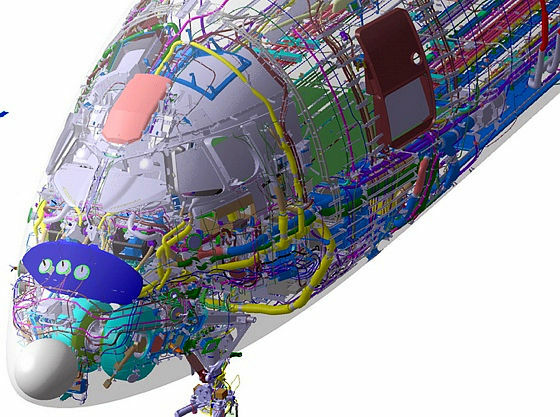 January 2009: A350 XWB Design is “frozen”. 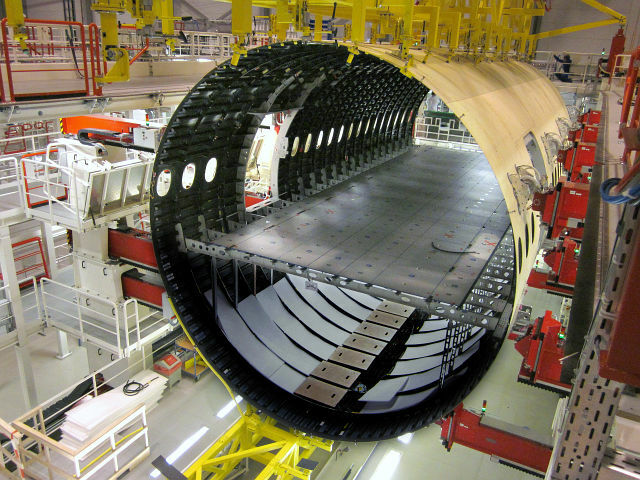 November 2010: The longest fuselage panel for Airbus’ A350 XWB completes its curing process. 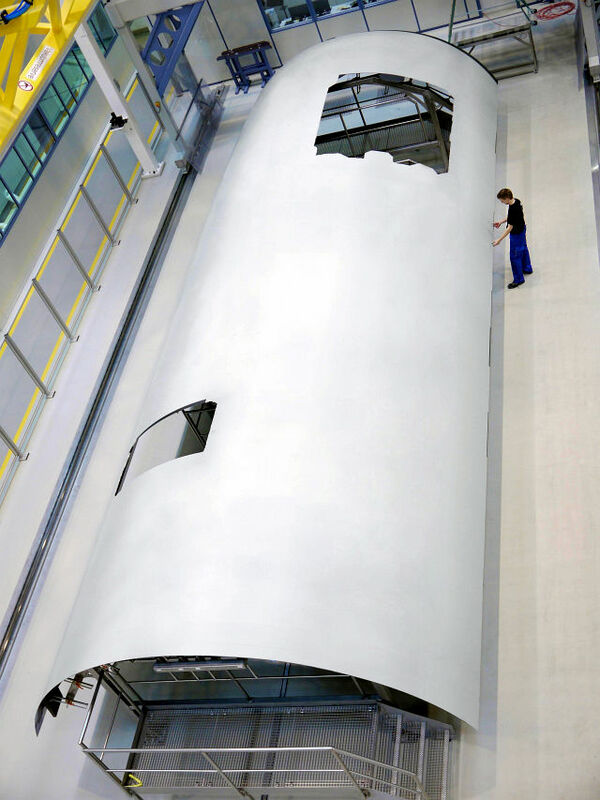 March 2011: The largest composite fuselage panel for Airbus’ A350 XWB completes its curing process. 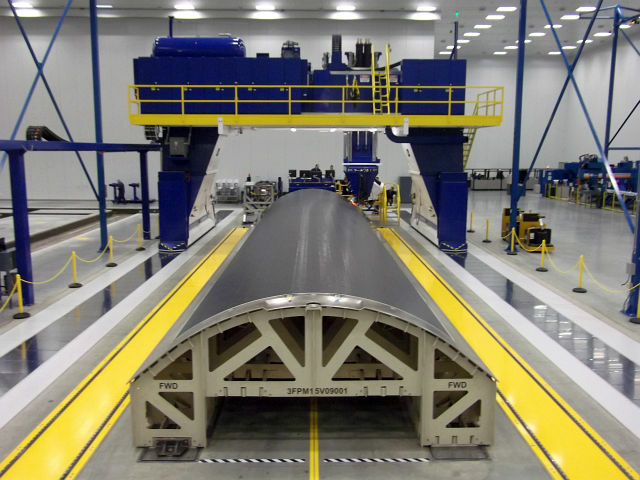 July 2011: Production on a key component in the A350 XWB’s initial horizontal tail plane begins, at Airbus’ centre of excellence in Puerto Real, Spain. 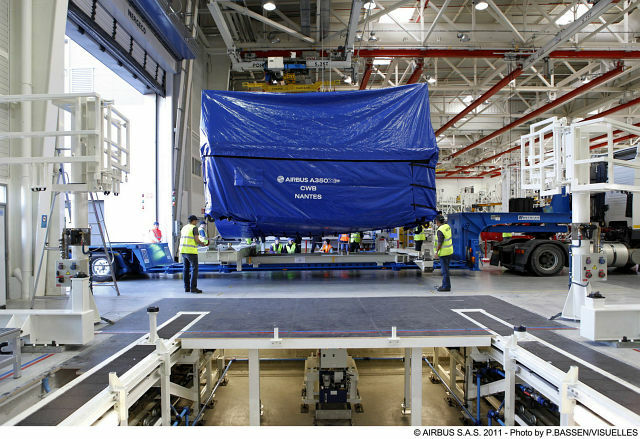 August 2011: The first A350 XWB centre wing box is delivered from Airbus’ site in Nantes, France to Airbus’ St Nazaire, France facility where it eventually is assembled into the first A350 XWB fuselage. 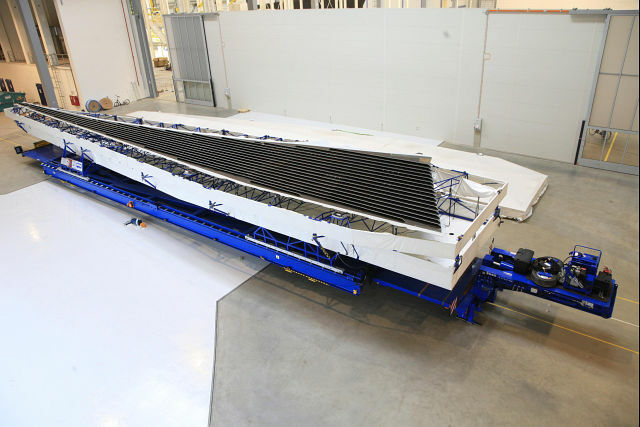 September 2011: Wing upper cover manufactured at Airbus’ Stade, Germany is transported to Airbus’ wing assembly site in Broughton, UK. The lower wing cover made in Illescas, Spain arrives in Broughton. 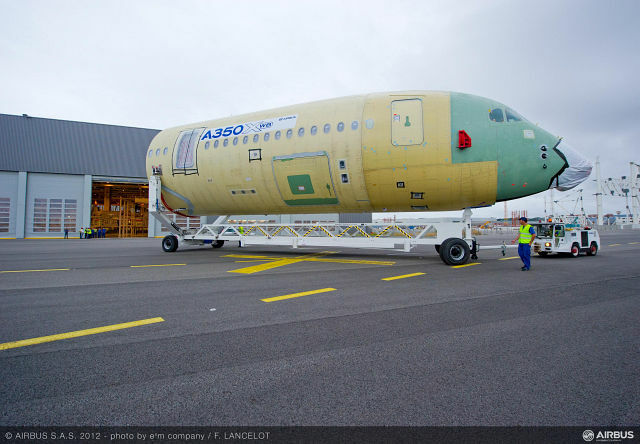 The first A350 XWB nose section is transported to Airbus in St Nazaire from partner company Aerolia’s site in Méaulte. 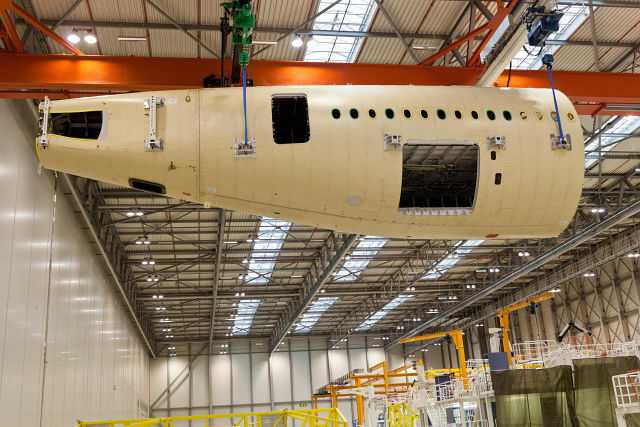 Airbus aerostructures partner Premium Aerotec puts together the first forward fuselage for the A350 XWB at Nordenham, Germany. 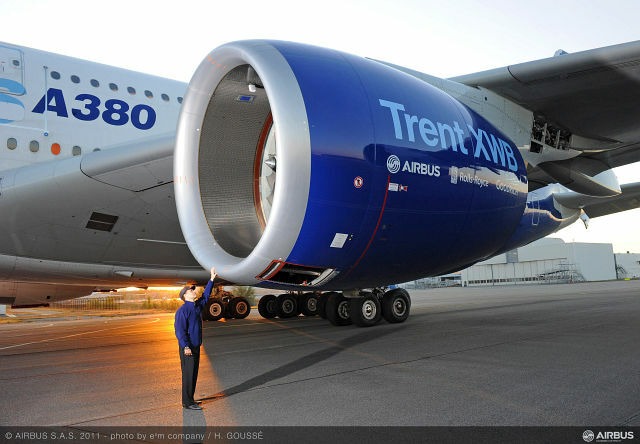 October 2011: Airbus completes installation of the first Rolls-Royce Trent XWB flight test engine on the A380 “flying-testbed” aircraft. 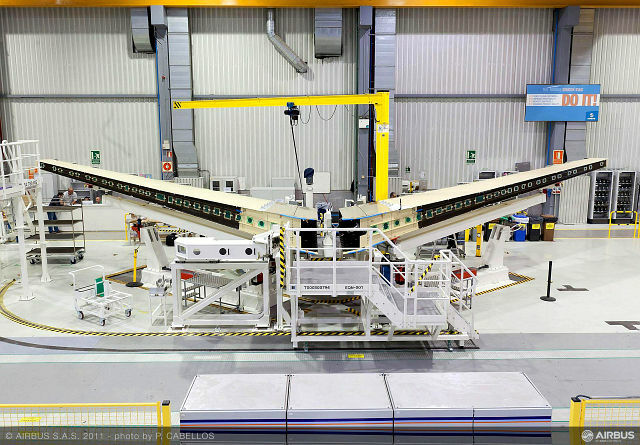 Airbus starts the assembly of the first A350 XWB’s horizontal tailplane (HTP) in Getafe, Spain. 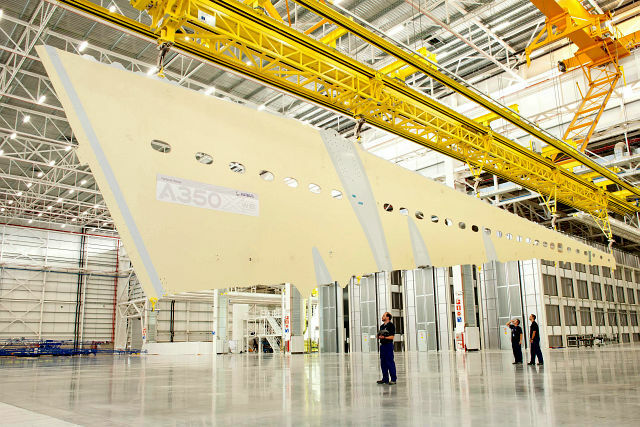 November 2011: Assembly of the first A350 XWB’s 32-metre-long carbon fibre wings begins at Airbus’ recently-opened North Factory in Broughton, UK. Pre-assembly of ribs, upper and lower covers and fixed leading and trailing edges already has taken place. 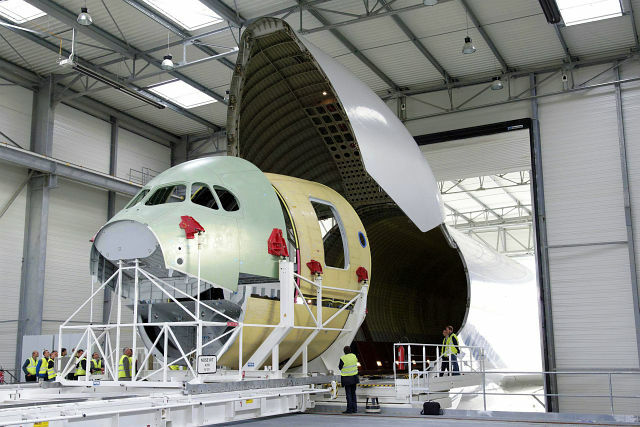 December 2011: Airbus starts joining the first 21-metre long front fuselage section for the A350 XWB in Saint-Nazaire, France. 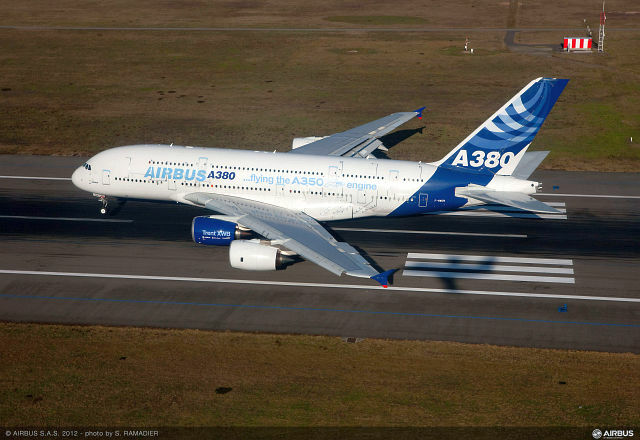 February 2012: The A350 XWB’s Rolls-Royce Trent XWB successfully makes its maiden flight aboard Airbus’ dedicated A380 “Flying-Test-Bed” aircraft. 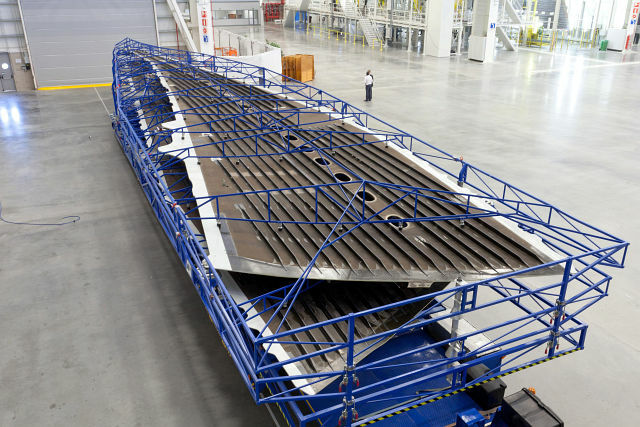 March 2012: Structural assembly of the first A350 XWB aft fuselage destined for the first flying A350 XWB (MSN1) is completed at Airbus’ manufacturing site in Hamburg (Germany). 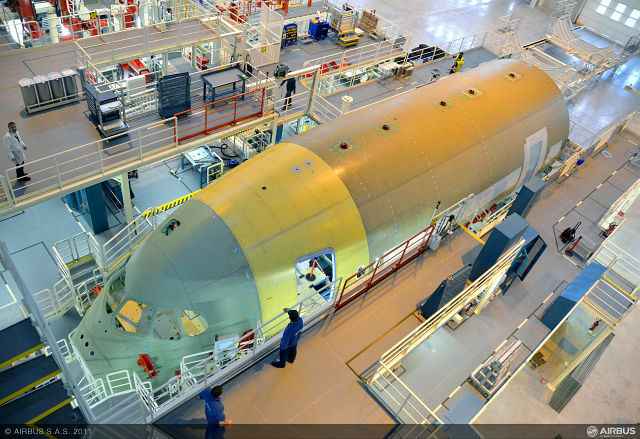 July 2012: Airbus delivers the front fuselage for the first flyable A350 XWB (MSN1) to the Final Assembly Line (FAL) in Toulouse (France). 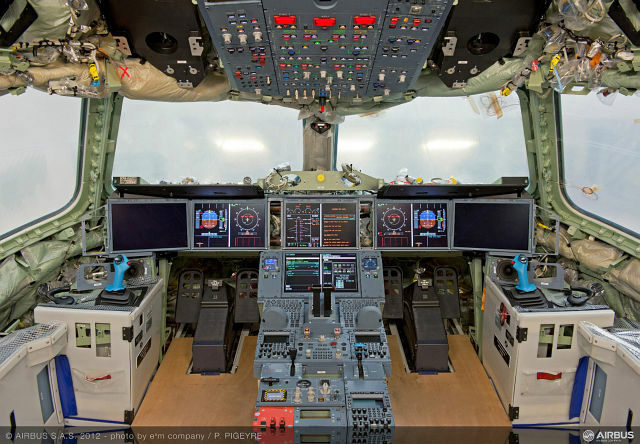 August 2012: A350 XWB “MSN1” flight-deck comes to life. Flight-deck power-on is an important step on the route to complete aircraft power-on and first flight, because it enables most systems functional checking to be undertaken. 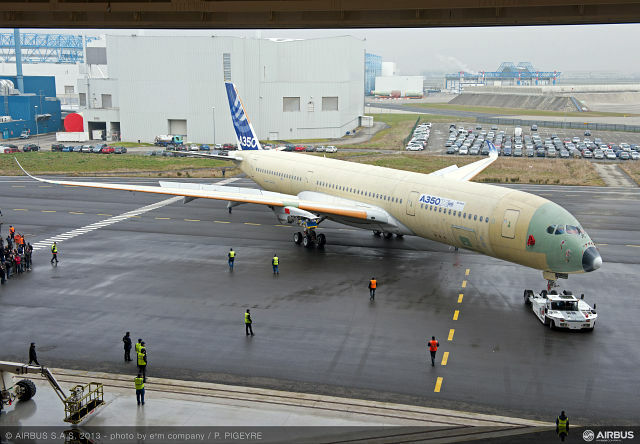 October 2012: The vertical tail plane of the first flyable A350 XWB (MSN1) has comes out of the paint hall in Toulouse. 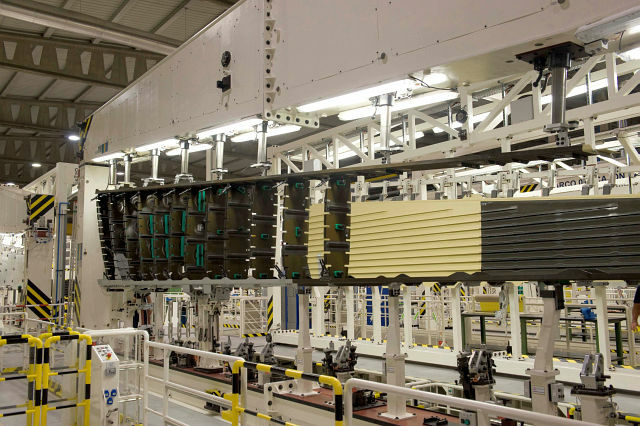 November 2012: The wing join-up started in the Roger Béteille Final Assembly Line (FAL) in Toulouse. The wings are attached to the fuselage and other finishing activities such as the spoilers are installed. 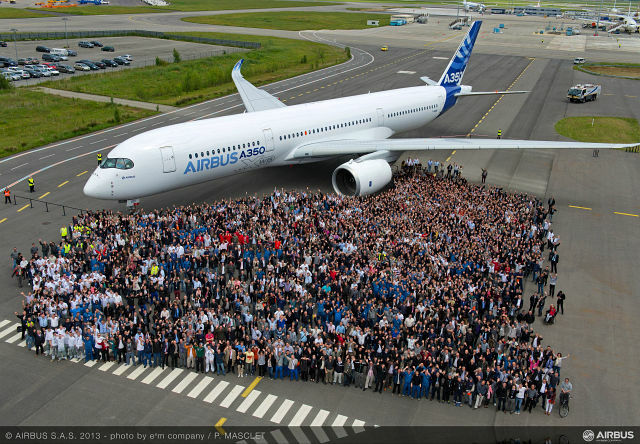 December 2012: Airbus successfully completes the main structural assembly and system connection of A350 XWB ‘MSN1’ – the first flight-test aircraft. February 2013: A350 XWB’s Trent XWB engine achieves EASA type certification. First A350 XWB with wings complete emerges for outdoor testing. 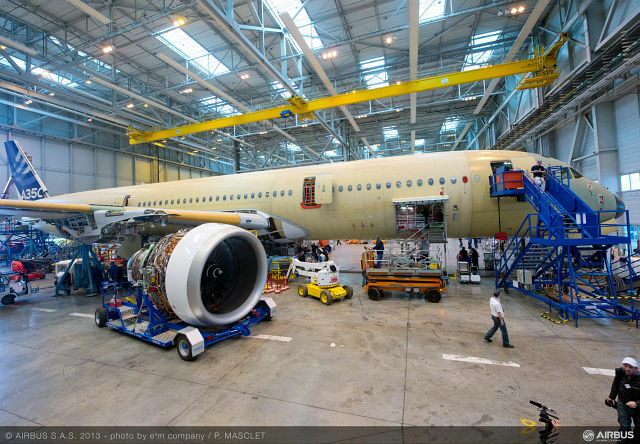 March 2013: Airbus installs Rolls-Royce Trent XWB engines and Honeywell APU on A350 XWB MSN001. June 2013: First A350 XWB’s engines powered up. 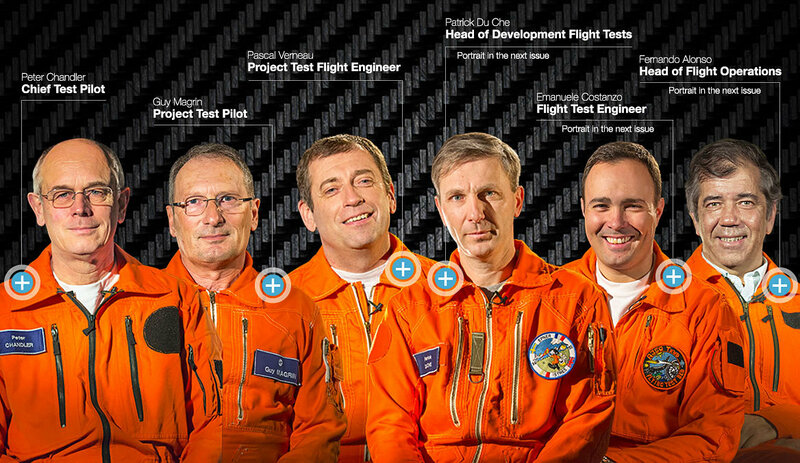 June 14th, 2013: First Flight Expected with 6 member flight crew.